These English cradle phones are sometimes referred to as "toaster" phones because they looked like the old time toasters. 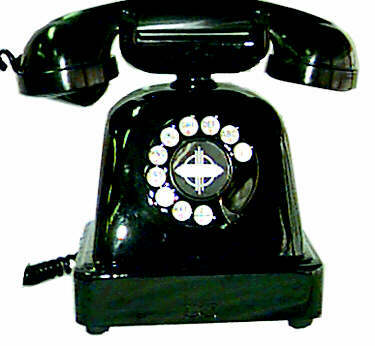 This charming, well built phone will add an eye catching accent to any room. The phone has been completely refurbished, has a 6 ft line cord with a modular end, and is ready to plug into your home phone system. There is a 30 day return privilege. ENGR3·································$219.00 We supplied on of these to the production of The Good Shepherd starring Matt Damon, Angelina Jolie, and Robert De Niro.